During our SDCC finds recap we noticed that We Love Fine had some great fashion items. Turns out there was a good reason for that! They teamed up with the label Goldie to release a boutique line inspired by Star Wars. The line features dresses, tops, skirts, and more! One of my favorite parts of SDCC, other than the fashion show, is checking out new geek merchandise. Many of my favorite places to buy from are often online sources, so being able to see what everything looks like in person is always a treat. 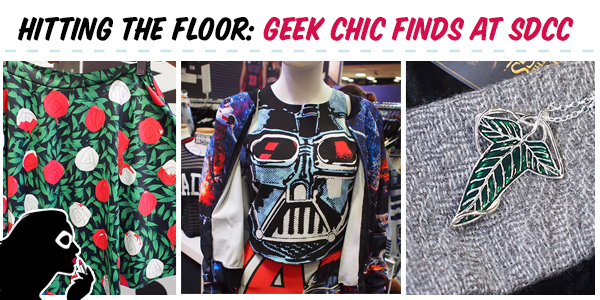 I hit the floor on Friday and Saturday on the look out for anything geek chic to wear or for the home. Scruffy has had her fair share of Stunning Styles featuring Star Wars, like here, here, and here, and I figured it was my turn to get in on the action! 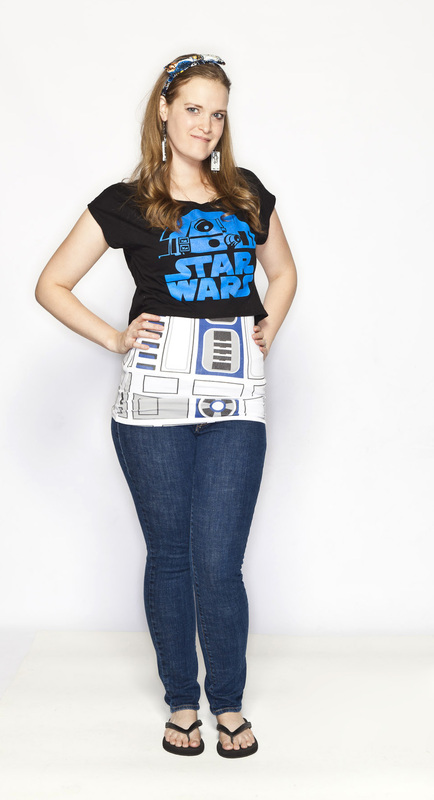 Today’s outfit centers around an R2D2 tank that can be either dressed up or down depending on your mood or style. With the currently popularity of geek based spandex, it’s no surprise that other companies are getting in on the game. The latest company to dip their toes in is We Love Fine. 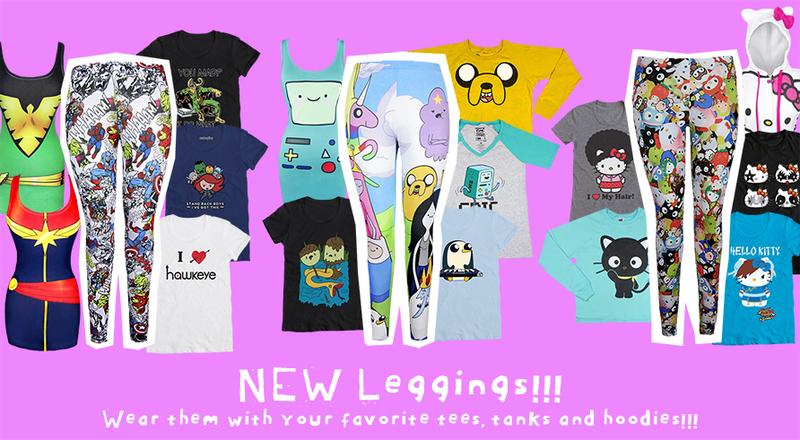 With licenses like Marvel, Adventure Time, and Sanrio, there is bound to be something for everyone!